Your Go Goodwins Manchester Storm skated away from this evening’s SELL OUT game with a point, following a controversial over time goal by the Sheffield Steelers. The focus of the evening however, was the re-retirement of Storm legend #41 Brad Rubachuk’s jersey. 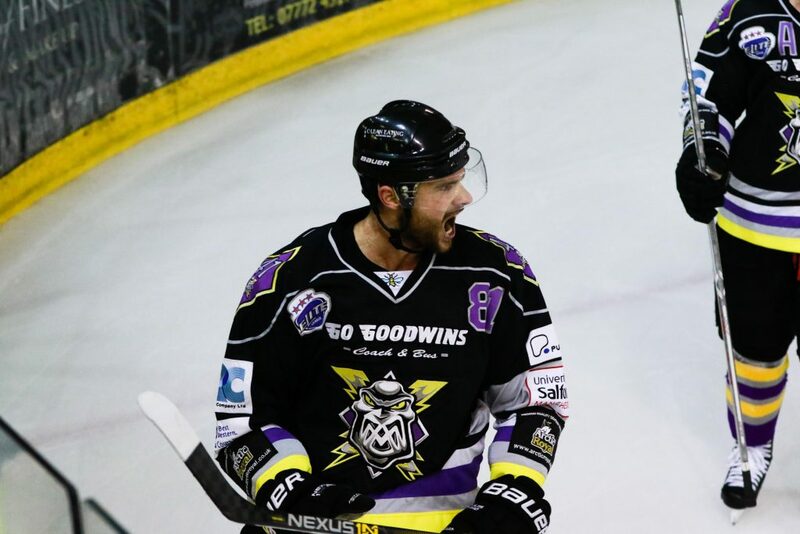 A member of the original Manchester Storm, watched his banner raised to the rafters once again, in front of a packed Storm Shelter at SilverBlades Ice Rink Altrincham. Following the ceremony, the focus shifted onto the game at hand, a match against arch-rivals, the Sheffield Steelers. 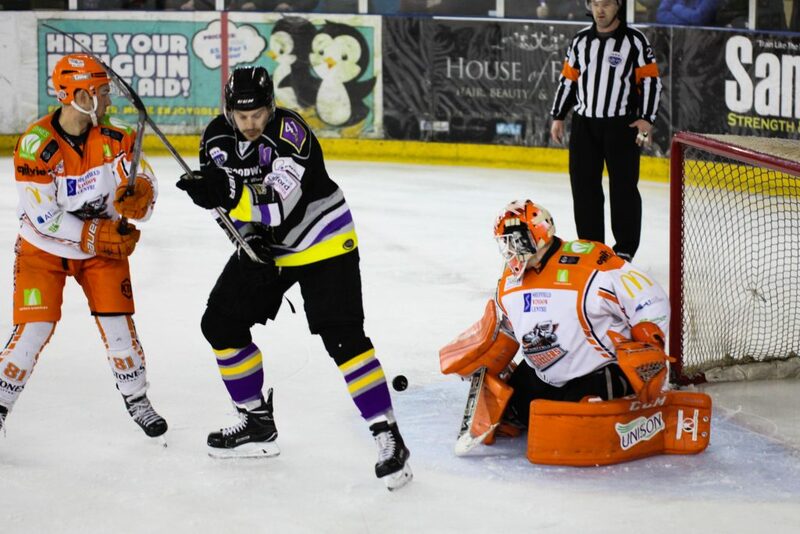 The Storm started the 1st period off well, causing the Steelers defence and netminder plenty of problems. However, it was the visitors who would be the first on the board, when Levi Nelson grabbed the opening goal of the night, against the run of play, much to the dismay of the Storm fans, with 15:01 to go in the period. Less than 2 minutes later, Mathiew Roy was able to double the Yorkshiremen’s lead, with an unmarked shot in front of the Storm net. The Storm continued to battle hard to get their opening goal, however it felt like Lady Luck was not on the side of the Storm, as they continued to fall foul of bad bounces. The Storms efforts were not in vain however, as with 1:21 to go in the period, and on the power play, Patrik Valcak was able to slot home through the five-hole of Ervins Mustukovs in the Steelers goal. The Storm continued to dominate the play early in the second, causing the Steelers plenty of problems. The efforts were once again rewarded when Jack Prince was able to grab the Storm’s equalising goal with 10:20 to go in the period. 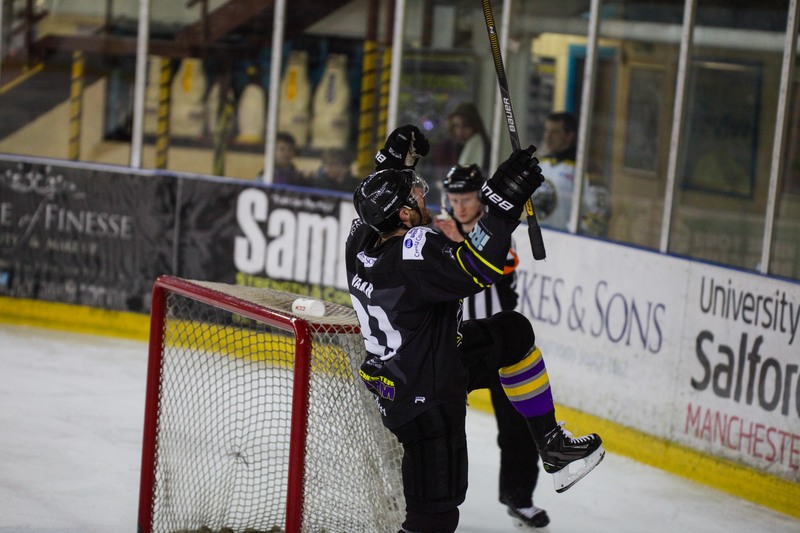 Following the goal, the Steelers moved the play into a higher gear, and the Storm had to weather continued Steeler attacks, that saw them finally score their 3rd of the night when Levi Nelson grabbed his second of the evening. 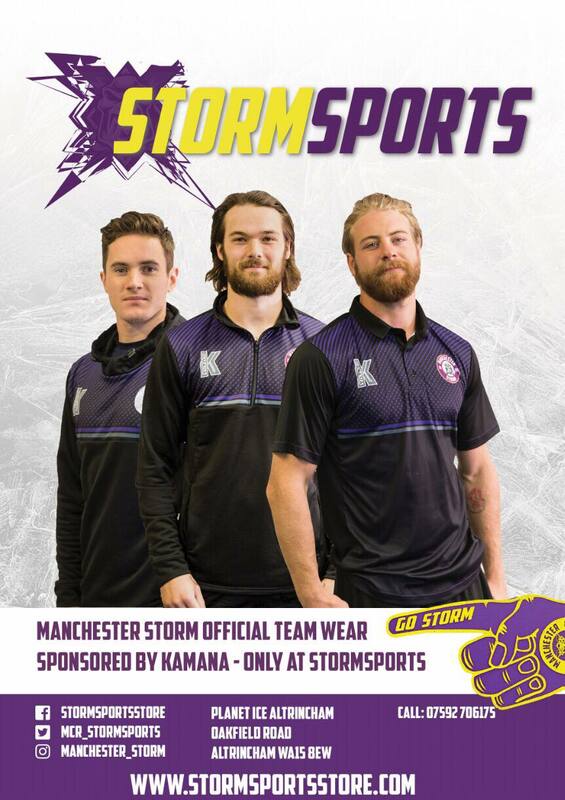 The Storm came out fired up in the third, and despite the hockey flowing end to end for much of the 3rd period, the ‘Men in Black’ continued to push hard for an equalising goal. Despite hitting the crossbar and post on several occasions, Patrik Valcak finally slotted home, wth 1:23 to go in the 3rd, sending the Shelter wild once again! The third period came to a close with the scores tied, meaning 3on3 sudden death over time followed. 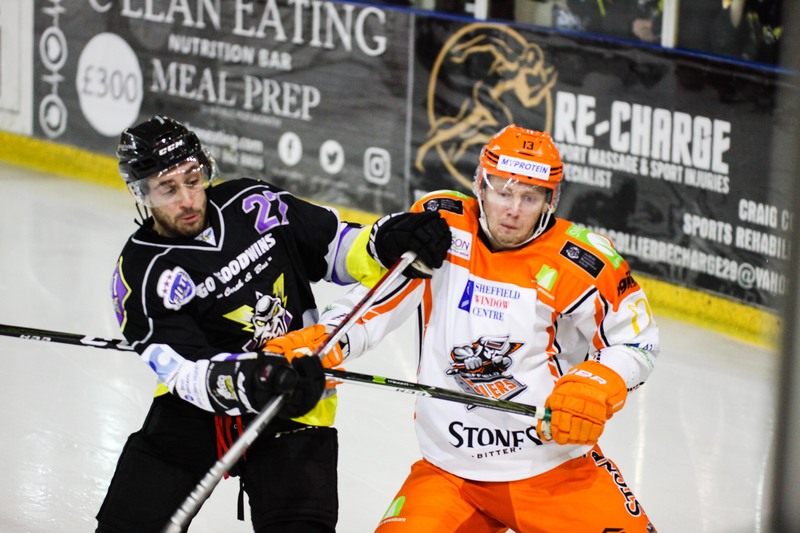 Despite the Storm hitting the crossbar once again, the Steelers were able to skate away with the extra point when Jace Coyle scored a controversial winner, despite the protests of players, the official signalled for a goal and Steelers secured the 2 points. Despite the unfortunate end to the game, the Storm fans can remember this weekend for all the fun we’ve had with Brad Rubachuk! We now look ahead to a BIG #PlayOffPush weekend against the Edinburgh Capitals on Saturday at the StormShelter and away at the Coventry Blaze on the Sunday.